Hi friends and happy Friday! Are you ready for the weekend? To kick off a great weekend, I have something pretty fantastic to share with you today. A few weeks ago, 9th & Elm reached out to see if I'd be interested in a partnership. To be honest, I had not heard of 9th & Elm until then but, I was curious enough to check them out and see what they are all about. I had so much fun shopping for these items. I chose a bracelet, a dress and a necklace/earring set. Check 'em out! 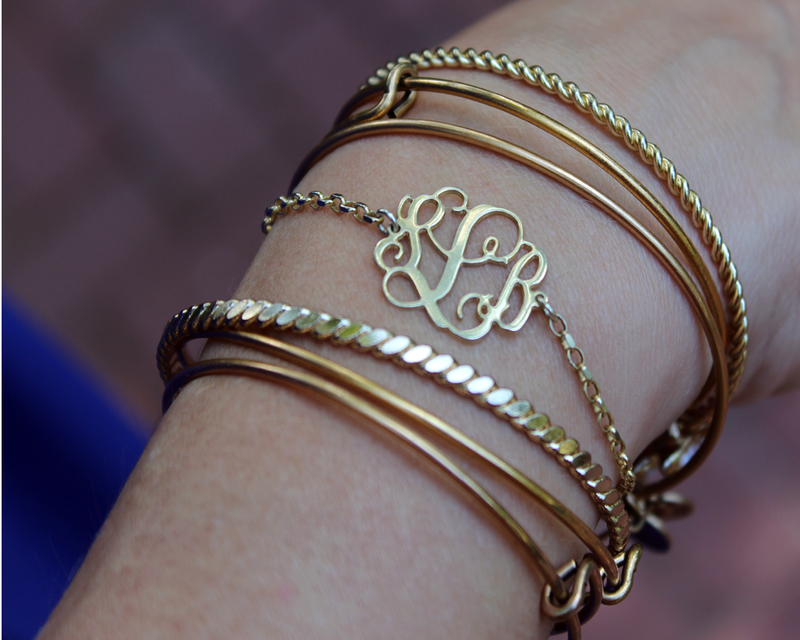 This sweet little monogrammed bracelet is the perfect addition to a bangle stack. It's pretty and subtle all at the same time. I adore it! There are no words for how much I love this dress. Dress it up with heels or make it more casual with flip flops. Sadly, it's sold out but you can check out the dresses currently available here. 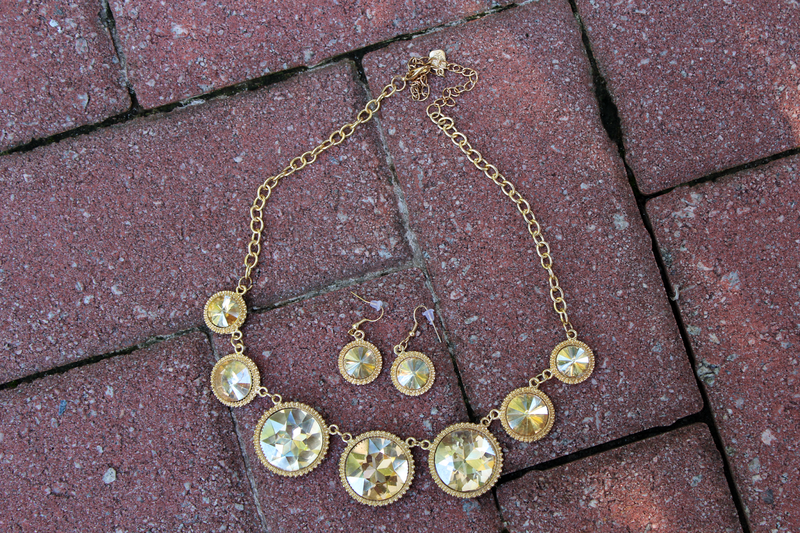 You may remember this necklace from Monday's post. It made a cameo appearance in the selfie. LOL! This particular set doesn't seem to be available anymore, however, follow the link above to see the whole collection of Statement Necklaces. You won't be disappointed! I hope you will hop on over to 9th & Elm and peruse an array of goodies from handmade and independent designers. I bet you put something in your shopping cart on the first visit. With easy returns and fast, free shipping, there's no reason not to! *This post was sponsored by 9th & Elm, however, I truly love this site and all opinions are my own. 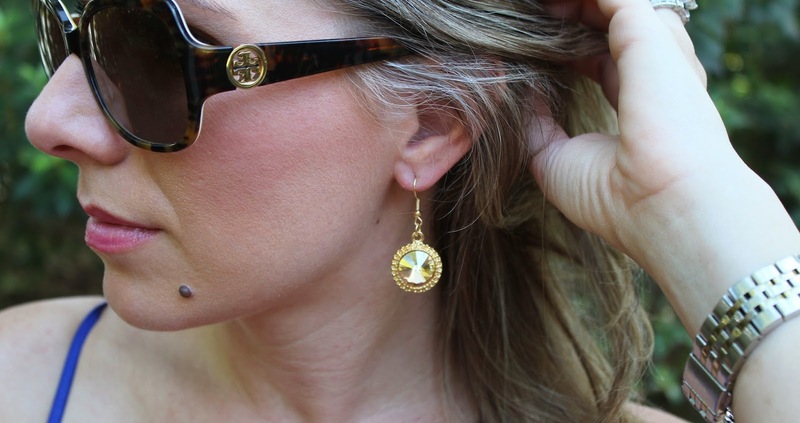 LOVE that gold monogram bracelet - so perfect for everyday wear! Will have to check them out! You know I can't resist a good monogram. :) Love your choices! Thanks for sharing this brand with us!